Our group was founded by Kathy Bravo in June of 2007 w﻿﻿ith only a handful of people in Julington Creek Plantatio﻿﻿n. Now we have﻿﻿ more than 400 volunteers which include representatives from our neighborhoods not only within Northwest and Northeast St. Johns County, but has grown to include much of St. Johns County. The summer of 2016 brought more growth to our membership with the partnership with Helping Hands of Nocatee. We look forward to the birth of "St. Johns CARES Kids" from this partnership to allow more opportunities for families and children to serve our community. We have really lived up to our mission statement “Uniting the Community through helping others in need”. The work we do has allowed us to team up with several of the schools and local churches in our community as well as local businesses such as Publix, Austin Outdoor, May Management, McDonald's, Ameris Bank, Pinch-A-Penny, The UPS Store, VyStar Credit Union, PDQ, Body Control Gym and Regions Bank. 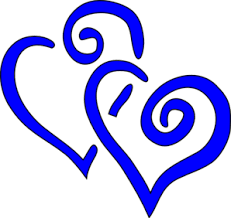 Since 2007 we have raised over $700,000.00 worth of charitable donations for many charities within St. Johns County and our volunteers have put in tens of thousands of community service hours. We are so excited to continue our work for years to come. 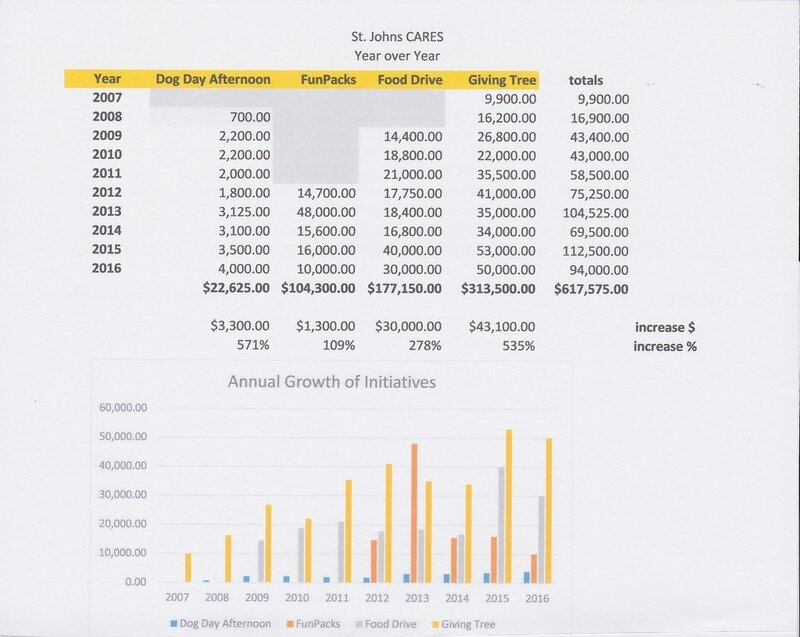 St. Johns CARES (formerly JCP CARES) provides assistance to local charities and those in need through donations and time. We divide our charity efforts into five different categories; Animals & Environment, Senior & Veterans, Children & Education, Medical and Homeless & Abused. For the last 11 years we have also done an Annual Food Drive in November﻿ and a "Giving Tree" to help all of our local charities during the holidays﻿. St. Johns CARES has recognized that a disparity exists among the families living in our county. Most people are not aware that state and federal funding is based on per capita income and St. Johns County is a very wealthy county due in large part to it's residents in the northern portion but more than 50% of the residents in the southern portion of the county are below poverty level. @ 2015 St. Johns CARES. All Rights Reserved. ​ A COPY OF THE OFFICIAL REGISTRATION AND FINANCIAL INFORMATION MAY BE OBTAINED FROM THE DIVISION OF CONSUMER SERVICES BY CALLING TOLL-FREE (800-435-7352) WITHIN THE STATE. ​REGISTRATION DOES NOT IMPLY ENDORSEMENT, APPROVAL, OR RECOMMENDATION BY THE STATE.